Transforming the Kannada television industry since 2006, Zee Kannada has grown by leaps and bounds for every Kannada household. 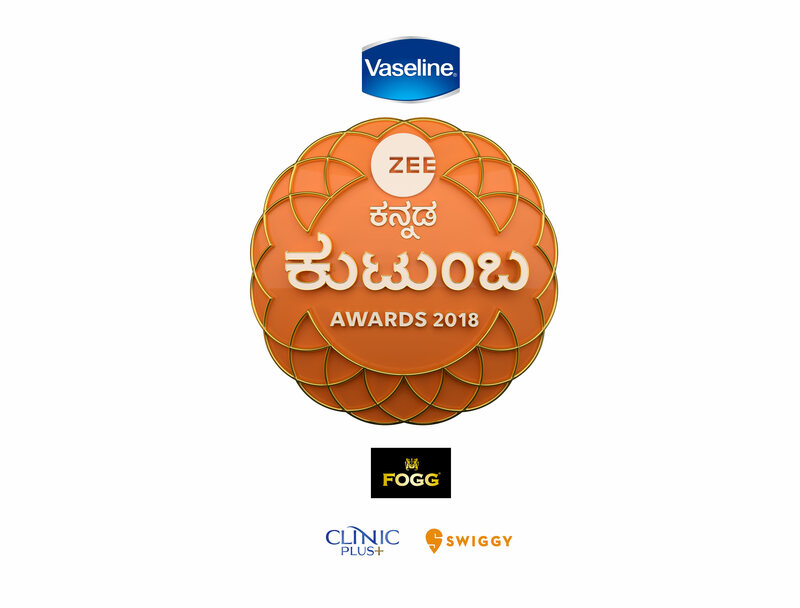 Hosting this years' Zee Kutumba Awards, Zee Kannada continues to celebrate the exemplary success and diverse talent from the channel, creating a platform to bring together the entire Zee Kannada family under one roof. A memorable evening, with breath-taking performances, the Zee Kutumba Awards 2018 will be telecasted this weekend (3rd and 4th November), at 7 30pm, only on Zee Kannada. The action-packed evening was hosted by the exuberant Anushree and the-all-time-favorite Master Anand, that witnessed sizzling performances by Ajay Rao, Ashika Ranganath, Manvitha Harish, and all serial artists' leads – Brahmagantu, Naagini, Yaare Nee Mohini, Jodi Hakki, Kamali, Subbalakshmi Samsara, and Shree Vishnu Dashavatara – for the Zee Kutumba theme song. Along with a special performance by Rajesh Krishnan and the Sa Re Ga Ma Pa Season 15 contestants for the following popular song tracks including Bhoomi Bannada Buguri, Yaava Shilpi Kanda Kanasu, Ondonde Bachitta Maathu, Hombale Hombale, Yaare Neenu Roja, and Santhoshakke Haadu Santhoshakke. Joining hands to honour and award Zee Kannada's talent across various categories, the red carpet witnessed the who's who of the channel including veteran actors Rama Krishna, Jayanthi, Ajay Rao, Sindhu Loknath, Bhavana Rao, Sanchari Vijay, Anup Bhandari, Loki, Vinod Prabhakar, Manvitha Harish, Aroor Jagdesh, Sharan; Chitra and Nilambari from Yaare Ne Mohini, Duttanna from Brahmaguntu, Appanna from Comedy Khiladigalu, Hyavadhana - the Director of Naagini, Harur Jagdish - the Director of Jodi Hakki, Swapna Tara from Kamali, Chandrakala Mohan - Kamali Artist, S Narayan - Actor and Director, Shashank - Director. 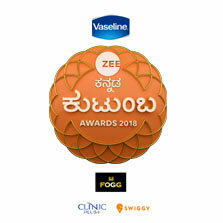 The star-studded event witnessed every celebrity wish Zee Kannada the very best of luck for the road ahead, while Janaki from Jodi Hakki, played by Chaithra Rao, taught the audience the relevance and necessity of humility, by narrating the story of her challenging childhood of being raised by a single mother and all the difficulties that come along with it. Rama from Jodi Hakki also expresses to the audience about how he has never felt the absence of his real father due to the love and support received from his on-screen father. The most magnificent highlight of the show had Rocking Star Yash on-stage along with Zee Kannada's Business Head, Raghavendra Hunsur unveiling a special surprise for the channel's viewers.